Heat Belgian-style waffle maker. Grease generously with oil. Separate dough into 5 rolls; set icing aside. 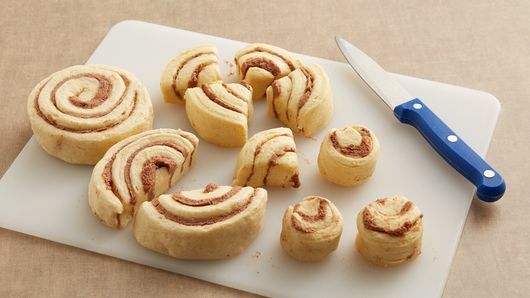 Cut each roll into fourths, and gently shape them into mini cinnamon roll shapes. 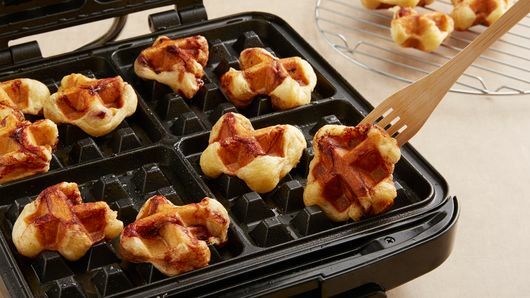 Lightly brush all sides of dough with oil before placing onto waffle maker; space dough pieces diagonally apart from one another, fitting 2 to 4 pieces on waffle maker. Close lid of waffle maker. Bake 1 to 1 1/2 minutes or until lightly browned and cooked. Using wooden kitchen utensil, carefully remove to cooling rack. Repeat with remaining cinnamon roll dough, greasing waffle maker and dough each time. 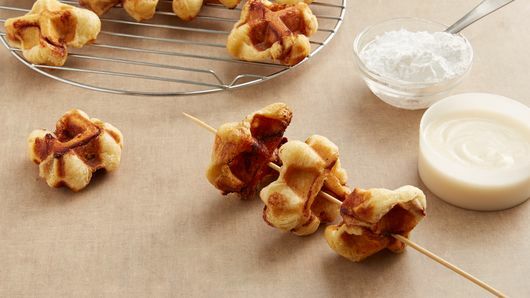 Thread 4 waffle pieces on each wooden skewer, and serve with icing. 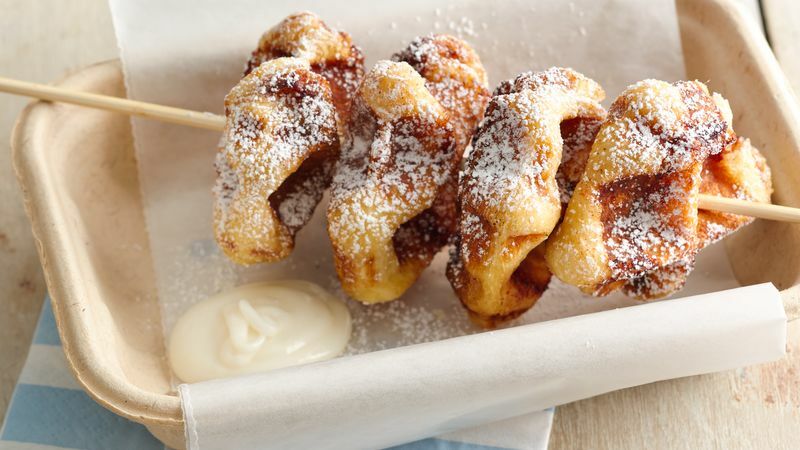 Sprinkle waffles with powdered sugar. 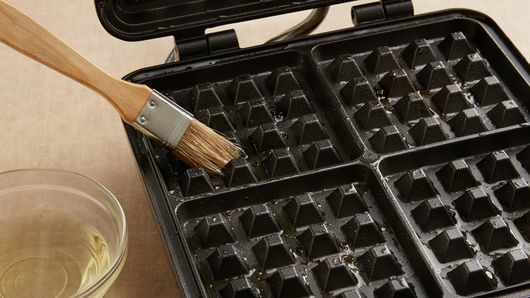 Be sure to grease the waffle maker between each batch of waffles to help prevent the rolls from sticking and burning. Great to serve with maple or other flavored syrup as well.